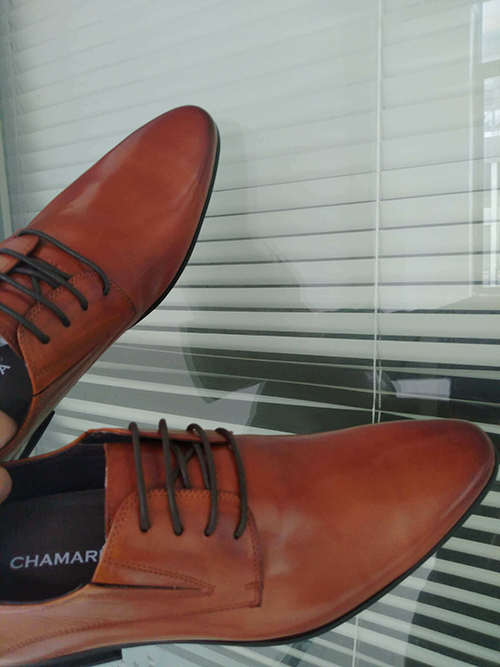 FeaturesThe Chamaripa elevator dress shoe is an exclusive combination of quality and fine Italian craftsmanship. Each Chamaripa shoe requires a significant investment of time and focus to achieve and is a true testament to the skills and dedication of our artisans. 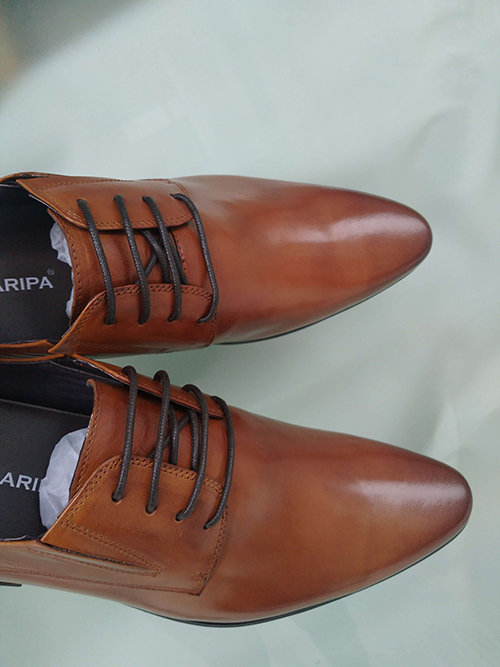 Each Chamaripa mens high heel shoe outsole is dyed to match the upper. 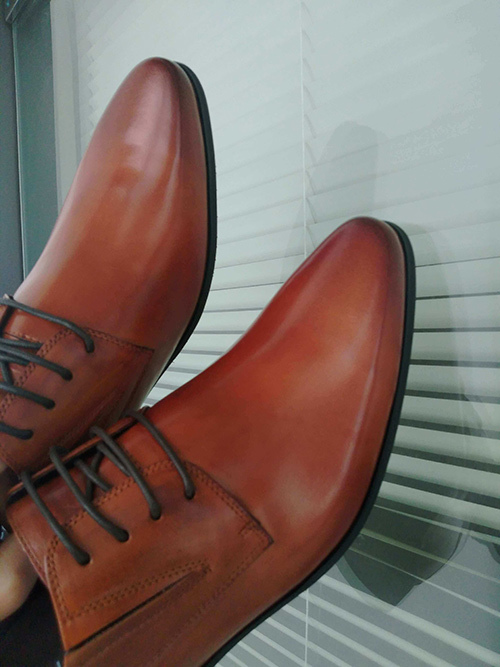 Elegant design with rubber soles and waxed dress shoe laces. The extra dark burnishing around the entire lower quarter of the shoe gives way to a progressively lighter upper. Just purchased this shoe for my uncle, and he loves everything about it. He compliments the style, the comfort, as well as the value of the show for the price he paid, he is even appreciating my choice. Very glad I chose to purchase this product. Thank you Chamaripa. I definitely recommend this product. I ordered this shoes for using with formals in office. I find, It is having premium round waxed cotton laces which is giving clean and sophisticated looks. These small little things matters a lot when you are making a perfect product. 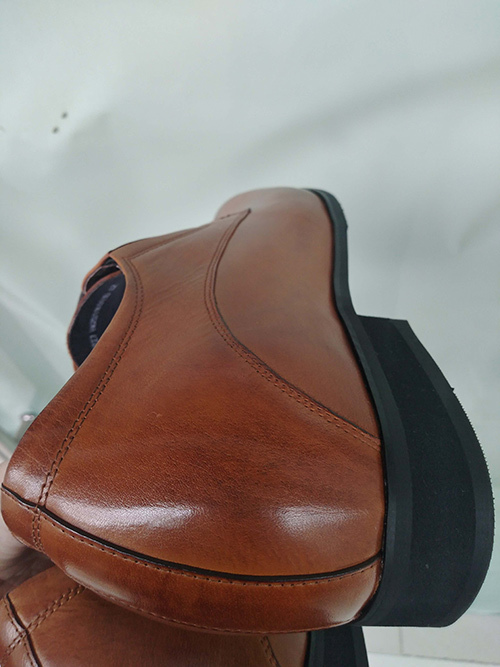 This shows how carefully and beautifully these shoes are designed. loved this shoe to the core. I bought this shoe about 1 month ago. It's has built-in full length insole support which ensure arch support and minimize arch pain during prolong use. I use it for almost 12 hrs per day office and otherwise. feel no pain and absolute comfortable. Overall, it looks good, shiny, and the price is moderate. 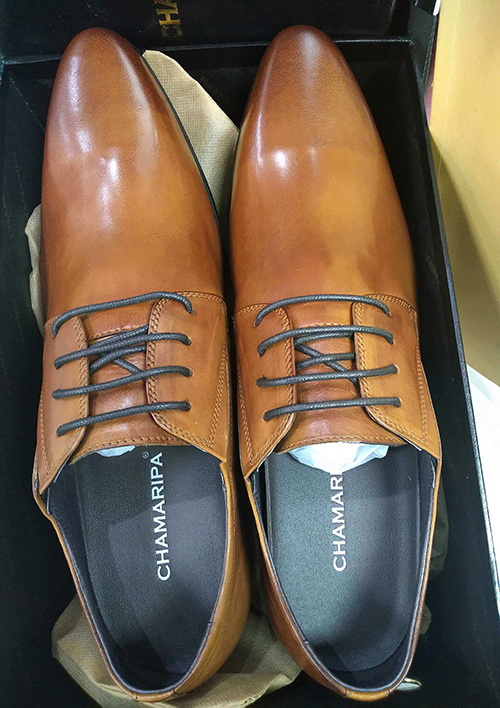 Chamaripa is a good company and I will continue to buy shoes from them. I bought this shoe 2 weeks ago and the fit was very good. Basically i wanted a shoes which fits with formal but can be used in very smooth surface. Generally i tend to slip in office surface due to extra smooth. so i go with this shoe, It has Rubber outsole with traction which gives extra grip on all the surface. completely satisfied with this shoe. He had been looking at the shoe for weeks, but he would not buy them! I said if you like the shoes buy them as you can wear them for dressy or casual wear. I came home and saw a Chamaripa bag in the bedroom, and I wondered where did it come from. My husband walks in styling with his new shoes! He LOVES them! I got these to replace a dressy pair that had always been painful. They are stylish, comfortable and dressy enough to wear to my son's wedding. On the sole the toe area is smooth and then there is an area which has grip allowing smooth sliding during dancing yet grip when needed. I danced all night! Sizing was as expected. Recommend. My husband bought these in black for a Formal Wedding. He looked so handsome in his black suit & these beautiful shoes. They were great for dancing me around the dance floor! They are very comfortable! Chamaripa has been in his wardrobe for decades! He is searching and ordering them in brown too. My husband bought these shoes to go with a suite. He wanted second pair because he said the first ones fit so good and didn’t have that new break in on his heals that sometimes will rub a blister. He never found shoes like this before which is as smooth like butter with no break in period. I was looking for a pair of dress shoes for an formal event. After several pairs to choose from I decided on this pair. Have worn them on a few occasions and I must say I am very pleased with this purchase. They very comfortable with a ultra modern style.